Does High Cholesterol Cause Heart Disease? Heart Disease Part Two – Atherosclerosis: How Does it Happen? In Part I, we explained how plaque formation is the cause of heart disease, and also discussed how enlarging plaques eventually cause heart attack by either occlusion, or plaque rupture with thrombosis. Although there is usually some warning such as chest pain or shortness of breath, sudden plaque rupture with thrombosis may cause a heart attack without warning. For part one click here. For part three click here. In Part II of this report we take a closer look at the individual steps leading to plaque formation in the artery wall. Based on this knowledge, we will then suggest additional strategies for preventing and reversing plaque formation in the arteries. Atherosclerotic plaque formation is a series events. The very first event is the deposition of lipoproteins in called the Fatty Streak (yellow in the above diagram) which eventually becomes the lipid core of the plaque. We know the fatty streak is the first step because it has been observed in the human fetus. (18) Now, that’s really early. The fatty streak is composed of LDL (low density cholesterol). Formation of the Fatty Streak precedes the next step in plaque formation which is infiltration with cells called Monocytes. Linus Pauling and others, suspected that the LDL deposition in the wall serves as patching material to repair small cracks in the arterial wall at sites of mechanical stress from pulsations and flow turbulence. Pauling theorized that, because of a subclinical vitamin C deficiency, the normal repair mechanisms are ineffective, so that an alternate repair mechanism with LDL cholesterol evolved. The LDL cholesterol serves as a sort of rubber cement to patch up the cracks in arteries, just like patching the inner tube of our tires. Since the appearance of the fatty streak appears so early (in the fetus), it is highly likely that there is a constant ebb and flow of lipoprotein material in and out of the arterial wall. We now know there is a transport mechanism for cholesterol to travel in the blood stream to the arterial wall in the form of LDL particles. And, there is a reverse cholesterol transport mechanism which transports cholesterol back from the artery wall to the liver in the form of HDL particles using the LCAT enzyme (Lecithin-Cholesterol Acetyl Transferase). At left is a blow up of a microscopic LDL particle with the APO-B protein colored in yellow, attached at the top. Cholesterol (orange) is contained in the center, and is encapsulated by an outer bi-layer of phospholipid (purple). The HDL particle has a similar configuration except that the Yellow protein at the top is replaced with the AP0-A1 protein. The LDL particles are transported from the liver out to the body tissues in the blood stream and delivers cholesterol to the Fatty Streak in the artery wall. The HDL particles carry cholesterol from the Fatty Streak in the artery wall back to the liver where it is metabolized and excreted as bile. Perhaps this is the reason why lowering cholesterol with statin drugs can reduce “cardiac events”, but sadly, statin drugs have little or no benefit in terms of all-cause mortality. (7)(8) It would be much more beneficial to selectively reduce only the OXIDIZED LDL cholesterol. Researchers have tests to measure oxidized LDL cholesterol, but this is not yet available to clinicians, and should be. Selectively reducing Oxidized LDL is exactly what is done with anti-oxidants like vitamin C, E, Carotenoids, and Red wine polyphenols. These dietary supplements as well as a healthy diet and lifestyle are clearly beneficial. (9) However, many people are confused by the opposition views in the medical literature and the media. These views oppose the use of dietary supplements to prevent heart disease. Some have even proposed the bizarre notion that vitamins increase mortality. Of course, these views represent the interests of the pharmaceutical industry which stands to lose billions from reduction in heart disease and reduced demand for drugs. (10)(11)(12)(13)(14) It is clear that dietary antioxidants like carotinoids in fresh vegetables as well as red wine polyphenols inhibit LDL oxidation and reduce heart disease. (15) We will later look at novel anti-oxidants such as liposomal glutathione (16) and Boswellia. The next step in plaque formation is the infiltration of cells into the wall of the artery. Current thinking is that oxidized LDL attracts the influx of monocytes. These are cells in the blood stream which have the ability to transform themselves into large scavenger cells called macrophages which serve as the garbage trucks for pick up and disposal. They engulf, digest and dispose of the old or toxic stuff the body needs to get rid of. These macrophages engulf the LDL cholesterol, and try to dispose of it. During the disposal process more of the LDL is oxidized . Something goes wrong at this step , and the macrophages continue to accumulate more and more oxidized LDL until the poor cell looks like an over inflated balloon ready to burst. This becomes the Foam Cell. This new over-stuffed macrophage is now called a “Foam Cell” because it looks foamy under the microscope. It is clear that the culprit is the oxidized or rancid form of LDL cholesterol. If the LDL is not oxidized, there seems to be no problem and the LDL can be transported out of the artery back to the liver in the form of HDL using the LCAT enzyme for reverse cholesterol transport. The Foam Cells accumulate, and send out more chemical messages which invokes an inflammatory cascade that attracts more macrophages and other cells in an inflammatory reaction. This inflammation in the wall of the artery causes the thickening in the wall called plaque formation. The last step in plaque formation is the fibrous cap which creates a seal between the puddle of oxidized LDL and its inflammatory cells and the flowing blood at the interior of the artery. Rupture of the fibrous cap is the final event which exposes the thrombogenic plaque to the blood stream causing clot formation and a heart attack. Now that we know the events leading to plaque formation and rupture, we can create a logical plan to prevent and reverse this process. Much of this information was covered in Part One of this article. Even after LDL becomes oxidized, it can be converted back to its original form with the use of anti-oxidants in a process called reduction. There are a number of anti-oxidants which have been shown effective. The most important and most powerful intracellular antioxidant is glutathione, a simple structure composed of three amino acids and sulfur. Glutathione is the most powerful naturally occurring antioxidant in all human cells. It is a small simple compound composed of three amino acids, glutamic acid, cysteine and glycine. Cysteine contains sulfer accounting for its sulfer taste and smell. Glutathione is found in all cells in the body, and the highest concentration in the liver, important for detoxification and elimination of toxins and products of oxidation called free radicals. 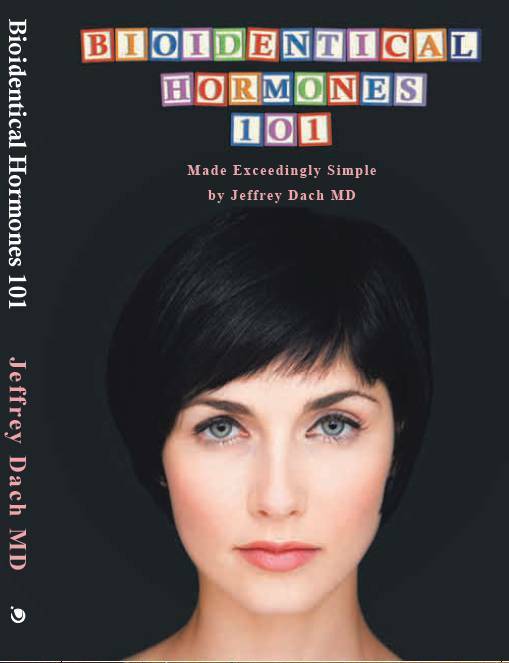 For the past 10 years, Glutathione has been available only as an intravenous agent. David Perlmutter MD in Naples Florida has been pioneering the use of IV glutathione in Parkinson’s Disease patients for the past 10 years with dramatic results. These Parkinson’s patients have immediate improvement in their symptoms after Glutathione IV infusion. In addition, inhaled glutathione in the form of a nebulizer has been beneficial for chronic obstructive lung disease patients. A recent 2007 publication from the Technion in Haifa showed that Liposomal Glutathione reduced plaque formation by 30% in genetically modified Apo-E mice. (16) These are mice that have accelerated atherosclerosis, the mouse equivalent of familial hypercholesterolemia in humans. They also found glutathione peroxidase in the LDL particle itself, an enzyme that allows the glutathione to refresh the oxidized LDL back to its original reduced form. How convenient this enzyme is already in place on the LDL particle. It must be part of some plan. At the recent ACAM meeting in Orlando (April 2008), Tim Guilford MD presented the data on Liposomal Glutathione reversing plaque in Apo-E mice. Technion researchers in this 2007 study used Dr. Guilford’s liposomal glutathione product called Readisorb, which is available at his web site. Oxidation of the LDL cholesterol involves the Lipoxygenase pathway which can be inhibited by Boswellia. Currently mainstream medicine has no drug to control the 5-L-OX enzyme, because up to now the pharmaceutical industry has not been able to make such a drug without major adverse side effects. However, Boswellia is a safe, natural gum resin of the frankincense tree, which powerfully suppresses the 5-lipoxygenase enzyme like no other substance known. Ancient traditional uses and more recent studies have shown significant improvements in asthma, arthritis, colitis, allergies, and heart disease. The most active of Frankincense component is called AKBA (acetyl-11-keto-beta-boswellic acid ). Unfortunately, currently available Boswellia extracts contain only a small amount of AKBA in the range of 1-3%. This small amount makes it virtually impossible to attain plasma levels needed for any real clinical benefit. Fortunately, a new Boswellia extract contains the more active 90% AKBA and is available from True Botanica (Ross Rentea MD). ATHEROSCLEROSIS – A STORY OF CELLS, CHOLESTEROL, AND CLOTS John R. Guyton, M.D. For more than two decades, there has been continuing evidence of lipid oxidation playing a central role in atherogenesis. The oxidation hypothesis of atherogenesis has evolved to focus on specific proinflammatory oxidized phospholipids that result from the oxidation of LDL phospholipids containing arachidonic acid and that are recognized by the innate immune system in animals and humans. These oxidized phospholipids are largely generated by potent oxidants produced by the lipoxygenase and myeloperoxidase pathways. The failure of antioxidant vitamins to influence clinical outcomes may have many explanations, including the inability of vitamin E to prevent the formation of these oxidized phospholipids and other lipid oxidation products of the myeloperoxidase pathway. Preliminary data suggest that the oxidation hypothesis of atherogenesis and the reverse cholesterol transport hypothesis of atherogenesis may have a common biological basis. The levels of specific oxidized lipids in plasma and lipoproteins, the levels of antibodies to these lipids, and the inflammatory/anti-inflammatory properties of HDL may be useful markers of susceptibility to atherogenesis. Apolipoprotein A-I (apoA-I) and apoA-I mimetic peptides (HDL) may both promote a reduction in oxidized lipids and enhance reverse cholesterol transport and therefore may have therapeutic potential. Roland Stocker and John F. Keaney, Jr. Emerging evidence has heightened the interest in the contribution of lipoxygenase to atherosclerosis. Analysis of atherosclerosis-prone and atherosclerosis-resistant mice identified a region on chormosome 6 that conferred resistance to atherosclerosis despite elevated levels of lipids (614). Further analysis of this locus determined that 5-lipoxygenase was one putative gene on chromasome 6 that conferred susceptibility to atherosclerosis (613). This suspicion was confirmed through the use of mice lacking one copy of the 5-lipoxygenase gene that, when bred with LDL receptor –/– mice, demonstrated a dramatic decrease in atherosclerosis (613). This observation has now been extended to humans as variant 5-lipoxygenase alleles segregate with evidence of atherosclerosis by carotid imtimal-to-medial thickness measurements on ultrasound (218). Thus 5-lipoxygenase appears to be one lipoxygenase isoform that is particularly germane to the development of atherosclerosis in both experimental animals and humans. LDL OXIDATION: CAUSE OR CONSEQUENCE OF ATHEROSCLEROSIS. It is important to recognize that a large body of the support referred to in this review to substantiate the oxidative modification hypothesis of atherosclerosis provides indirect rather than direct evidence for a causative link between the two processes. This is perhaps not surprising given the difficulties in experimental attempts to distinguish LDL oxidation as a cause rather than consequence of atherosclerosis. For example, associations such as the relative extent of LDL oxidation in the vessel wall and disease burden at best only strengthen the oxidative modification hypothesis; they do not prove the hypothesis. LDL Cholesterol:Bad Cholesterol, or Bad Science? Anthony Colpo, Journal of American Physicians and Surgeons Volume 10 Number 3 Fall 2005. p 83. In summary, low serum LDL cholesterol level was associated with increased risks of hematological cancer, fever, and sepsis. In men, across the entire age range, although of borderline significance under the age of 50, and in women from the age of 50 onward only, low cholesterol was significantly associated with all-cause mortality, showing significant associations with death through cancer, liver diseases, and mental diseases. Why Eve Is Not Adam: Prospective Follow-Up in 149,650 Women and Men of Cholesterol and Other Risk Factors Related to Cardiovascular and All-Cause Mortality. Hanno Ulmer, Cecily Kelleher, Gunter Diem, Hans Concin. Journal of Women’s Health. January 1, 2004, 13(1): 41-53. doi:10.1089/154099904322836447. These biased articles are based on the latest Cochrane review which more or less copies the JAMA paper from February 2007. Unfortunately, bad science and misleading media stories are confusing consumers. As dietary supplements become more popular and threaten the bottom line of traditional medicine and Big Pharma, we see more and more studies and articles that try to convince the public that dietary supplements are useless, unregulated, or even deadly. iFaculty of Computing, Engineering and Technology, Staffordshire University; iiSchool of Biology, Chemistry and Health Science, Manchester Metropolitan University. vitamins increased the risk of death.1 Superficially, this study appears to have a degree of scientific rigour because of a detailed and extensive use of statistics. However, the statistics were inappropriately applied to poorly selected data, thus the conclusions are invalid. REVIEW ARTICLE : Vitamins E and C are safe across a broad range of intakes. Dietary antioxidants and paraoxonases against LDL oxidation and atherosclerosis development. Aviram M, Kaplan M, Rosenblat M, Fuhrman B.The Lipid Research Laboratory, Technion Faculty of Medicin and Rambam Medical Center, Haifa, Israel. Oxidative modification of low-density lipoprotein (LDL) in the arterial wall plays a key role in the pathogenesis of atherosclerosis. Under oxidative stress LDL is exposed to oxidative modifications by arterial wall cells including macrophages. Oxidative stress also induces cellular-lipid peroxidation, resulting in the formation of ‘oxidized macrophages’, which demonstrate increased capacity to oxidize LDL and increased uptake of oxidized LDL. Macrophage-mediated oxidation of LDL depends on the balance between pro-oxidants and antioxidants in the lipoprotein and in the cells. LDL is protected from oxidation by antioxidants, as well as by a second line of defense–paraoxonase 1 (PON1), which is a high-density lipoprotein-associated esterase that can hydrolyze and reduce lipid peroxides in lipoproteins and in arterial cells. Cellular paraoxonases (PON2 and PON3) may also play an important protective role against oxidative stress at the cellular level. Many epidemiological studies have indicated a protective role for a diet rich in fruits and vegetables against the development and progression of cardiovascular disease. A large number of studies provide data suggesting that consumption of dietary antioxidants is associated with reduced risk for cardiovascular diseases. Basic research provides plausible mechanisms by which dietary antioxidants might reduce the development of atherosclerosis. These mechanisms include inhibition of LDL oxidation, inhibition of cellular lipid peroxidation and consequently attenuation of cell-mediated oxidation of LDL. An additional possible mechanism is preservation/increment of paraoxonases activity by dietary antioxidants. This review chapter presents recent data on the anti-atherosclerotic effects and mechanism of action of three major groups of dietary antioxidants-vitamin E, carotenoids and polyphenolic flavonoids. Anti-oxidant and anti-atherogenic properties of liposomal glutathione: studies in vitro, and in the atherosclerotic apolipoprotein E-deficient mice.Rosenblat M, Volkova N, Coleman R, Aviram M.
The Lipid Research Laboratory, Technion Faculty of Medicine, The Rappaport Family Institute for Research in the Medical Sciences, Rambam Medical Center, Haifa 31096, Israel. Liposomal glutathione, but not the control liposomes (with no glutathione), dose-dependently inhibited copper ion-induced low density lipoprotein (LDL) and HDL oxidation. As peroxidase activity was found to be present in both LDL and HDL, it has contributed to the anti-oxidative effects of liposomal glutathione. In-vitro, no significant effect of liposomal glutathione on J774 A.1 macrophage cell-line oxidative stress and on cellular cholesterol metabolism was observed. In contrast, in the atherosclerotic apolipoprotein E-deficient (E(0)) mice, consumption of liposomal glutathione (12.5 or 50mg/kg/day, for 2 months), but not control liposomes, resulted in a significant reduction in the serum susceptibility to AAPH-induced oxidation by 33%. Liposomal glutathione (50mg/kg/day) consumption also resulted in an increment (by 12%) in the mice peritoneal macrophages (MPM) glutathione content, paralleled by a significant reduction in total cellular lipid peroxides content (by 40%), compared to placebo-treated mice MPM. MPM paraoxonase 2 activity was significantly increased by 27% and by 121%, after liposomal glutathione consumption (12.5 or 50mg/kg/day, respectively). Analyses of cellular cholesterol fluxes revealed that, liposomal glutathione (12.5mg/kg/day) consumption, decreased the extent of oxidized-LDL (Ox-LDL) uptake by 17% and the cellular cholesterol biosynthesis rate, by 34%, and stimulated HDL-induced macrophage cholesterol efflux, by 19%. Most important, a significant reduction in macrophage cholesterol mass (by 24%), and in the atherosclerotic lesion area (by 30%) was noted. We thus conclude that liposomal glutathione possesses anti-oxidative and anti-atherogenic properties towards lipoproteins and macrophages, leading to attenuation of atherosclerosis development. We previously reported the identification of a locus on mouse chromosome 6 that confers almost total resistance to atherogenesis, even on a hypercholesterolemic (LDL receptor–null) background. 5-Lipoxygenase (5-LO) is the rate-limiting enzyme in leukotriene synthesis and was among the chromosome 6 locus candidate genes that we examined. The levels of 5-LO mRNA were reduced about 5-fold in a congenic strain, designated CON6, containing the resistant chromosome 6 region derived from the CAST/Ei strain (CAST), as compared with the background C57BL/6J (B6) strain. 5-LO protein levels were similarly reduced in the CON6 mice. Sequencing of the 5-LO cDNA revealed several differences between CON6 and the B6 strain. To test the whether 5-LO is responsible for the resistant phenotype, we bred a 5-LO knockout allele onto an LDL receptor–null (LDLR-/-) background. On this background, the mice bred poorly and only heterozygous 5-LO knockout mice were obtained. These mice showed a dramatic decrease (>26-fold; P<0.0005) in aortic lesion development, similar to the CON6 mice. Immunohistochemistry revealed that 5-LO was abundantly expressed in atherosclerotic lesions of apoE- /- and LDLR-/- deficient mice, appearing to colocalize with a subset of macrophages but not with all macrophage-staining regions. When bone marrow from 5-LO+/- mice was transplanted into LDLR-/-, there was a significant reduction in atherogenesis, suggesting that macrophage 5-LO is responsible, at least in part, for the effect on atherosclerosis. These results indicate that 5-LO contributes importantly to the atherogenic process and they provide strong presumptive evidence that reduced 5-LO expression is partly responsible for the resistance to atherosclerosis in CON6 mice. J Clin Invest. 1997 December 1; 100(11): 2680–2690. Fatty streak formation occurs in human fetal aortas and is greatly enhanced by maternal hypercholesterolemia. Intimal accumulation of low density lipoprotein and its oxidation precede monocyte recruitment into early atherosclerotic lesions. C Napoli, F P D’Armiento, F P Mancini, A Postiglione, J L Witztum, G Palumbo, and W Palinski, Department of Clinical and Experimental Medicine, Federico II University of Naples, 80131 Naples, Italy. We found that in LDLR-deficient mice, feeding of an oxidized-cholesterol diet resulted in a 32% increase in fatty streak lesions (15.93±1.59% versus 21.00±1.38%, P<0.03). Similarly, in apo E–deficient mice, feeding of an oxidized-cholesterol diet increased fatty streak lesions by 38% (15.01±0.92% versus 20.70±0.86%, P<0.001). The results of the current study thus demonstrate that oxidized cholesterol in the diet accelerates fatty streak lesion formation in both LDLR- and apo E–deficient mice. Abstract—Oxidized lipoproteins may play a role in atherosclerosis. Recently, we have demonstrated that the levels of oxidized fatty acids in the circulation correlate directly with the quantity of oxidized fatty acids in the diet and that dietary oxidized fatty acids accelerate atherosclerosis in rabbits. The present study tests the hypothesis that oxidized cholesterol in the diet accelerates the development of atherosclerosis. Rabbits were fed a diet containing 0.33% nonoxidized cholesterol (control diet) or the same diet containing 0.33% cholesterol of which 5% was oxidized (oxidized diet). Serum cholesterol levels increased to a similar extent in both groups, with the majority of cholesterol in the ß-VLDL fraction. Moreover, in the serum ß-VLDL fraction and liver, there was a significant increase in the oxidized cholesterol levels. Most importantly, feeding a diet enriched in oxidized cholesterol resulted in a 100% increase in fatty streak lesions in the aorta. Western diets contain high concentrations of oxidized cholesterol products, and our results suggest that these foods may be a risk factor for atherosclerosis. James B. Peter, M.D., Ph.D. & Ruihua Wu, M.D. *, Ph.D. & Janet Cook, MT (ASCP), M.S. Modified forms of low density lipoprotein (LDL), the major cholesterol carrying lipoprotein, are associated with accelerated atherosclerosis. Macrophages take up oxidized LDL (ox-LDL) and acetylated LDL (acetyl-LDL) to form foam cells, the earliest step in atherogenesis.1 Probably reflecting their rapid binding to the scavenger receptor on the macrophage immediately after its formation ox-LDL are undetectable in circulating blood, but are detected in atheromatous plaques. Increased LDL oxidation is associated with coronary artery disease. The predictive value of circulating oxidized LDL is additive to the Global Risk Assessment Score for cardiovascular risk prediction based on age, gender, total and HDL cholesterol, diabetes, hypertension, and smoking. Circulating oxidized LDL does not originate from extensive metal ion-induced oxidation in the blood but from mild oxidation in the arterial wall by cell-associated lipoxygenase and/or myeloperoxidase. Oxidized LDL induces atherosclerosis by stimulating monocyte infiltration and smooth muscle cell migration and proliferation. It contributes to atherothrombosis by inducing endothelial cell apoptosis, and thus plaque erosion, by impairing the anticoagulant balance in endothelium, stimulating tissue factor production by smooth muscle cells, and inducing apoptosis in macrophages. HDL cholesterol levels are inversely related to risk of coronary artery disease. HDL prevents atherosclerosis by reverting the stimulatory effect of oxidized LDL on monocyte infiltration. The HDL-associated enzyme paraoxonase inhibits the oxidation of LDL. PAF-acetyl hydrolase, which circulates in association with HDL and is produced in the arterial wall by macrophages, degrades bioactive oxidized phospholipids. Both enzymes actively protect hypercholesterolemic mice against atherosclerosis. Oxidized LDL inhibits these enzymes. Thus, oxidized LDL and HDL are indeed antagonists in the development of cardiovascular disease. atherogenesis. Foam cell formation is thought to be induced by Low Density Lipoproteins (LDL), including oxidized LDL (OxLDL) or minimally modified LDL (mmLDL). Understanding the molecular mechanisms involved in OxLDL- and mmLDL-induced foam cell formation is of fundamental importance for atherosclerosis and cardiovascular disease. Recent observations indicate a role 5-lipoxygenase, 15-lipoxygenase and the leukotriene receptors in foam cell formation. Selective inhibitors of lipoxygenases and leukotriene receptors could be useful in the treatment of atherosclerosis by preventing or reducing foam cell formation. 5-Lipoxygenase (5-LO) is the rate-limiting enzyme in leukotriene synthesis and was among the chromosome 6 locus candidate genes that we examined. The levels of 5-LO mRNA were reduced about 5-fold in a congenic strain, designated CON6, containing the resistant chromosome 6 region derived from the CAST/Ei strain (CAST), as compared with the background C57BL/6J (B6) strain. 5-LO protein levels were similarly reduced in the CON6 mice. Sequencing of the 5-LO cDNA revealed several differences between CON6 and the B6 strain. To test the whether 5-LO is responsible for the resistant phenotype, we bred a 5-LO knockout allele onto an LDL receptor–null (LDLR-/-) background. On this background, the mice bred poorly and only heterozygous 5-LO knockout mice were obtained. These mice showed a dramatic decrease (>26-fold; P<0.0005) in aortic lesion development, similar to the CON6 mice. Immunohistochemistry revealed that 5-LO was abundantly expressed in atherosclerotic lesions of apoE- /- and LDLR-/- deficient mice, appearing to colocalize with a subset of macrophages but not with all macrophage-staining regions. When bone marrow from 5-LO+/- mice was transplanted into LDLR-/-, there was a significant reduction in atherogenesis, suggesting that macrophage 5-LO is responsible, at least in part, for the effect on atherosclerosis. Copyright © 2002 by Lipid Research, Inc. Plasma oxLDL was the strongest predictor of CHD events compared with a conventional lipoprotein profile and other traditional risk factors for CHD. When both oxLDL and C-reactive protein were simultaneously assessed in the same model, they still predicted future CHD events even after multivariable adjustment. Conclusions— Elevated concentrations of oxLDL are predictive of future CHD events in apparently healthy men. Thus, oxLDL may represent a promising risk marker for clinical CHD complications and should be evaluated in further studies. Using this antibody (mAb-4E6) it is possible to measure very small amounts OxLDL containing a conformational epitope in the apoB-100 moiety of LDL that is generated as a consequence of substitution of lysine residues of apoB-100 with aldehydes . OxLDL at entry, but not LDL cholesterol, was associated with the number and size of plaques at follow-up (P = 0.008), also after adjustment for plaque status at entry (P = 0.033). The plasma OxLDL concentration at entry was associated with change in carotid artery IMT (r = 0.17; P = 0.002) and in a stepwise multiple regression analysis this association remained after adjustment for other cardiovascular risk factors (P = 0.005). We concluded that the metabolic syndrome, a risk factor for CHD, is associated with higher levels of circulating oxLDL that are associated with a greater disposition to atherothrombotic coronary disease. Levels of oxLDL were measured (2000–2001) blindly at the Center for Experimental Surgery and Anesthesiology. An mAb-4E6-based competition enzyme-linked immunosorbent assay (ELISA) was used for measuring plasma oxLDL levels (5,16,17). The monoclonal antibody mAb-4E6 is directed against a conformational epitope in the apoB-100 moiety of LDL that is generated by substituting aldehydes for at least 60 lysine residues of apolipoprotein B-100. Apolipoprotein A-I (ApoA-I) is an apolipoprotein. It is the major protein component of high density lipoprotein (HDL) in plasma. The protein promotes cholesterol efflux from tissues to the liver for excretion. It is a cofactor for lecithin cholesterol-acyl-transferase (LCAT) which is responsible for the formation of most plasma cholesteryl esters. Apolipoprotein B (APO-B is the primary apolipoprotein of low density lipoproteins (LDL or “bad cholesterol”), which is responsible for carrying cholesterol to tissues. While it is unclear exactly what functional role APOB plays in LDL, it is the primary apolipoprotein component and is absolutely required for its formation. What is clear is that the APOB on the LDL particle acts as a ligand for LDL receptors in various cells throughout the body (i.e. less formally, APOB “unlocks” the doors to cells and thereby delivers cholesterol to them). Through a mechanism that is not fully understood, high levels of APOB can lead to plaques that cause heart disease (atherosclerosis). There is considerable evidence that levels of APOB are a better indicator of heart disease risk than total cholesterol or LDL. However, primarily for practical reasons, cholesterol, and more specifically, LDL-cholesterol, remains the primary lipid target and risk factor for atherosclerosis. APOB100 is found in lipoproteins originating from the liver (VLDL, IDL, LDL). Importantly, there is one APOB100 molecule per hepatic-derived lipoprotein. Hence, using that fact, one can quantify the number of lipoprotein particles by noting the total APOB100 concentration in the circulation. Since there is one and only one APOB100 per particle, the number of particles is reflected by the APOB100 concentration. The same technique can be applied to individual lipoprotein classes (e.g. LDL) and thereby enable one to count them as well. It is well established that APOB100 levels are associated with coronary heart disease, and are even a better predictor of it than is LDL level. A naive way of explaining this observation is to use the idea that APOB100 reflects lipoprotein particle number (independent of their cholesterol content). In this way, one can infer that the number of APOB100-containing lipoprotein particles is a determinant of atherosclerosis and heart disease. Defects in apolipoprotein E result in familial dysbetalipoproteinemia, or type III hyperlipoproteinemia (HLP III), in which increased plasma cholesterol and triglycerides are the consequence of impaired clearance of chylomicron and VLDL remnants. Conclusions In patients with coronary artery disease, a low level of activity of red-cell glutathione peroxidase 1 is independently associated with an increased risk of cardiovascular events. Glutathione peroxidase 1 activity may have prognostic value in addition to that of traditional risk factors. Furthermore, increasing glutathione peroxidase 1 activity might lower the risk of cardiovascular events. CONCLUSIONS: Glutathione redox state (Eh GSH/GSSG), an in vivo measure of intracellular oxidative stress, is an independent predictor for the presence of early atherosclerosis in an otherwise healthy population. This finding supports a role for oxidative stress in the pathogenesis of premature atherosclerosis, and its measurement may help in the early identification of asymptomatic subjects at risk of atherosclerotic disease. Background—Traditional risk factors account for only half of the morbidity and mortality from coronary heart disease (CHD). There is substantial evidence that oxidative injury plays a major role in the atherosclerotic process. Thus, antioxidants may protect against development of atherosclerosis. Glutathione, an intracellular tripeptide with antioxidant properties, may be protective. Methods and Results—This case-control study compared total serum glutathione (tGSH) in 81 adolescent male offspring of parents with premature CHD (ie, before 56 years of age) and 78 control male offspring of parents without known or suspected CHD. Case offspring had significantly lower tGSH than control offspring. In multiple logistic regression with parental CHD status as the dependent variable, age entered as a covariate, and other CHD risk factors competing to enter the model as significant independent predictor variables, LDL cholesterol (odds ratio [OR], 2.15 [units=1.5 SD]; 95% CI, 1.21 to 3.82), tGSH (OR, 0.40; 95% CI, 0.22 to 0.71), HDL cholesterol (OR, 0.42; 95% CI, 0.22 to 0.78), and total serum homocysteine (OR, 2.6; 95% CI, 1.35 to 5.02) entered the model as significant predictors of parental CHD status. Conclusions—Low tGSH in adolescent boys is a significant independent predictor of parental CHD, in addition to elevated LDL cholesterol, low HDL cholesterol, and elevated total serum homocysteine concentrations. Prasad A, Andrews NP, Padder FA, et al. Glutathione reverses endothelial dysfunction and improves nitric oxide bioavailability. J Am Coll Cardiol 1999;34:507-514. TIM GUILFORD, M.D., received his Medical Degree from the University of Texas Medical Branch in Galveston, Texas. He trained in surgery for 2 years at Johns Hopkins Hospital in Baltimore, Maryland and completed his training at the University of Michigan, Ann Arbor. He is Board Certified in Ear, Nose and Throat, Head and Neck Surgery. In Clinical Practice since 1981, Dr. Guilford was also Director of Biological Information System Clinical Laboratory specializing in Allergy and Immunology testing until 1993. His areas of medical interest include treatment of allergy, chronic illnesses and he uses Homeopathy and nutrient support for chronic illnesses. Over the last 10 years Dr. Guilford has become an expert in the role that glutathione plays in chronic illnesses. Glutathione decreases with age and chronic illnesses, and plays a key role in several systems that are critical for the maintenance of health. Low glutathione levels are associated with chronic inflammation, which prevents efficient immune function, and diminishes the ability to remove toxins. Dr. Guilford’s interest in glutathione has lead tp the formation of a liposomal glutathione product called ReadiSorb™ Glutathione. More information is available at www.Readisorb.com. The role of the 5-Lipoxygenase in atherosclerosis is particularly interesting. Atherosclerosis, a major cause of morbidity and mortality, is now seen as an inflammatory fibro-proliferative disease. Leukotriene receptors are abundantly expressed in atherosclerotic lesions in the aorta, heart and carotid artery. In fact the presence of high expression of 5-Lipoxygenase, correlates well with high plaque instability. Review of animal and human data suggest that 5-Lipoxygenase and its metabolites are up regulated in vessel walls, macrophages, dendritic cells, foam cells, mast cells, and neutrophils. Recent studies clearly have identified the 5-Lipoxygenase gene as a risk factor in such cardio vascular diseases as stroke and myocardial infarction. A survey of 470 subjects identified to have a gene variant leading to an increased expression of 5-Lipoxygenase demonstrated a significant increase in carotid artery intima-media thickness. Dietary intake of fish oils, which reduce the production of Leukotrienes, blunted the genotype effect. Another recent survey of subjects from Britain and Iceland, with higher than normal 5-Lipoxygenase expression, showed, double the usual rate of heart attacks. Mice genetically lacking the 5-Lipoxygenase gene showed a dramatic 26 fold reduction in aortic lesions. These studies suggest that 5-Lipoxygenase inhibition would be a valuable preventative measure in CV disease. Significantly increased urinary Leukotriene levels were found in patients following admission for acute myocardial infarction. Elevated levels of Leukotrienes were also found in patients with unstable angina. Leukotrienes are also involved in sickle cell disease and septic shock. Taken together these studies demonstrate that there is a significant benefit to treat patients suffering from ischemic injuries and the resulting organ damage by eliminating inflammatory events through 5-Lipoxygenase control. Recently, LT receptors have been shown to be expressed in the intimal hyperplasia of early atherosclerosis and in restenotic lesions after angioplasty. These findings emphasize the role that a 5-Lipoxygenase target could play in preventing restenosis after coronary interventions. Articles by Ross Rentea MD on Boswelia etc. Gold, Frankincense and Myrrh – Companions for overcoming work-related stress? Sensory Overload Author: An Interview with Ross Rentea, M.D. Anon. Treatment of Crohn’s disease with incense (Boswellia serrata extract). Arztezeitschrift fur Naturheilverfahren 2001;42:636. Ammon HPT. Boswellic acids in chronic inflammatory diseases. Planta Medica 2006;72:1100-16. Bäck M, Hansson GK. Leukotriene receptors in atherosclerosis. Annals of Medicine 2006;38:493-502. Badria FA, El-Farahaty T, Shabana AA, Hawas SA, El-Batoty MF. Boswellia-curcumin preparation for treating knee osteoarthritis: A clinical evaluation. Alternative and Complementary Therapies 2002;8:341-8. Badria FA, Mohammed EA, El-Badrawy MK, El-Desouky M. Natural leukotriene inhibitor from Boswellia: A potential new alternative for treating bronchial asthma. Alternative and Complementary Therapies 2004;10:257-65. Bertsche T, Schulz M. Therapy with Boswellia extracts. Pharmazeutische Zeitung 2002;147:34-6. Bishnoi M, Patil CS, Kumar A, Kulkarni SK. Analgesic activity of acetyl-11-keto-beta-boswellic acid, a 5-lipoxygenase-enzyme inhibitor. Indian Journal of Pharmacology 2005;37:255-6. Catalano A, Procopio A. Targeting 5-lipoxygenase signaling pathways to reverse drug resistance in cancer. Letters in Drug Design and Discovery 2006;3:459-61. Huang M-, Badmaev V, Ding Y, Liu Y, Xie J-, Ho C-. Anti-tumor and anti-carcinogenic activities of triterpenoid, β-boswellic acid. BioFactors 2000;13:225-30. Poeckel D, Werz O. Boswellic acids: Biological actions and molecular targets. Current Medicinal Chemistry 2006;13:3359-69. Werz O, Steinhilber D. Pharmacological intervention with 5-lipoxygenase: New insights and novel compounds. Expert Opinion on Therapeutic Patents 2005;15:505-19. Poeckel D, Tausch L, Altmann A, et al. Induction of central signalling pathways and select functional effects in human platelets by β-boswellic acid. British Journal of Pharmacology 2005;146:514-24. Rubin P, Mollison KW. Pharmacotherapy of diseases mediated by 5-lipoxygenase pathway eicosanoids. Prostaglandins and Other Lipid Mediators 2007;83:188-97. UCSD researchers pinpoints how CRP attaches itself to oxidized LDL, the so-called “bad cholesterol” that accumulates in the artery wall and generates atherosclerotic plaques. LDL is the major cholesterol carrying particles. 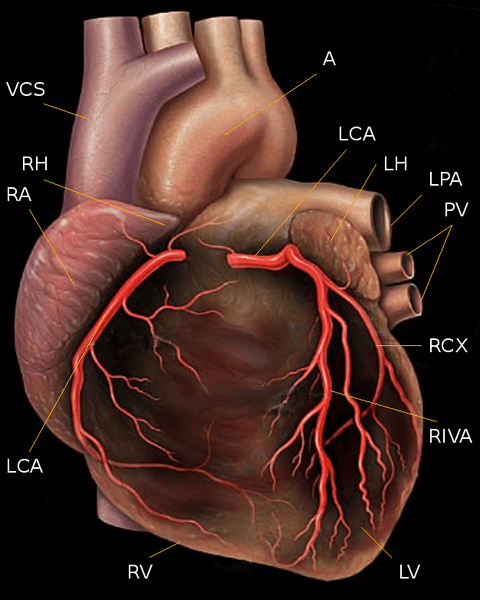 When they enter the artery wall from the circulation, they are believed to be modified by oxidation. It is this “oxidized LDL” that is thought to be the culprit leading to inflammation and cholesterol accumulation. Benefits of Glutathione, The information in the following video describes the use of intravenous glutathione in Parkinson’s disease at the Perlmutter Health Center, Naples, Florida with Dr. David Perlmutter. We see videos of Parkinson’s patients before and after glutathione is administered. You can noticeably see the improvement in each patient after IV glutathione. The video should not be used in and of itself to diagnose or treat any specific medical condition. Reduced L-glutathione, most commonly called glutathione or GSH, is the most powerful naturally occurring antioxidant in all human cells. We have developed this site to deliver information about this powerful antioxidant to consumers that are considering Glutathione. It is a tripeptide composed of the amino acids glutamic acid, cysteine and glycine. Glutathione is found in all cells in the body, including the bile, the epithelial lining fluid of the lungs, and—at much smaller concentrations—in the blood. The highest concentration of glutathione is found in the liver, making it critically important in the detoxification and elimination of free radicals. Accumulation of these dangerous compounds can result in oxidative stress, which occurs when the generation of free radicals in the body exceeds the body’s ability to neutralize and eliminate them. Free radicals are highly reactive compounds created in the body during normal metabolic functions; they can also enter the body through the environment. Does Cholesterol Cause Coronary Artery Disease ? Tipton Ayana on Vitamin B12 Deficiency by Jeffrey Dach MD.